There may have been other occasions. I have been racking my brains to think of others, but I can recall only three occasions in a concert-going career spanning well over half a century when I have stood spontaneously at the end of a performance. The standing ovation has become de rigueur among some audiences. I have been equally racking my brains, but cannot remember a single occasion in the last couple of years when somebody has not stood up after a performance in Singapore’s Esplanade concert hall. It seems that, standing up to show appreciation is, in many people, the rule rather than the exception. Our response to a musical performance is intriguing. As Kevin Thomson, contributing to this blog some years back observed, it is strange that we show our appreciation of a profound artistic event by violently banging our hands together. Yet how else are we to show it? We could all sagely nod our heads or sit in stunned silence – which some do. We could holler and shout, make ear-splitting cat-calls or excrete the kind of whistles tight, short skirts intimately applied to the young female form used to attract when they strutted past active building sites – as seems to be the wont among Chinese students. We could wave our arms in the air – standard practice in Singapore. Or we could stand up. But the usual convention is to remain seated, applaud with enthusiasm appropriate to the level of our appreciation (occasionally calling out “bravo” when it was particularly good, or “boo” when it was particularly bad) and leave it at that. For me, the standing ovation signifies not something good, or even very good, or even excellent, or even outstanding; it signifies a life-changing, unforgettable experience the like of which one is rarely likely to witness again. As audiences, we must have something in reserve for that extremely rare occasion when the performance transcends all our previous experiences; and for me that final piece of appreciative armoury is to stand up spontaneously. Spontaneity is the thing. If you wait and look around to see if someone else has stood up first, if you wait until the artist on stage seems to be looking your way, or if you wait until you feel you just can’t sit down any longer, that signifies some level of appreciation, but it is not a genuine, spontaneous standing ovation. I recall attending a performance of Mahler 2 conducted by an aged and infirm Otto Klemperer in London. It was not a great performance and, magnificent as the work was, it was not difficult to imagine something more magnificent. But the presence of Klemperer, one of the great conductors of the age whose very presence lent distinction to the event, and the fact that nearly all of us knew (and could see) that he was unlikely to step on to the London stage again, warranted a respectful ovation. We did not stand spontaneously; we stood when it was clear that our standing was indicative of respect to a great musician rather than a great musical occasion. There are a few artists whose very presence on stage ensures a segment of the audience will be on their feet,. If only to show that they have enjoyed other performances by that artist; and I must confess that I’ve done that a few times. When a standing ovation is spontaneous, you know it. You somehow leap to your feet regardless of what is going on around you, so enthralled have you been by the performance. 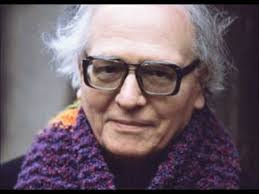 It first happened to me in, I think, 1974, when Olivier Messiaen came to Cardiff and gave a spell-binding performance of his own Visions de l’Amen with his wife Yvonne Loriod. I was hugely attracted to the music and the person of Messiaen, who had been in attendance at the university for a few days previously, but aware that my own professor, Alun Hoddinott, was not so enamoured of him, I was wary of making too passionate a display of enthusiasm (after all I was yet to graduate). Yet so utterly taken was I by the performance, that I leapt to my feet and cheered. The performance and the occasion have never faded from my memory. 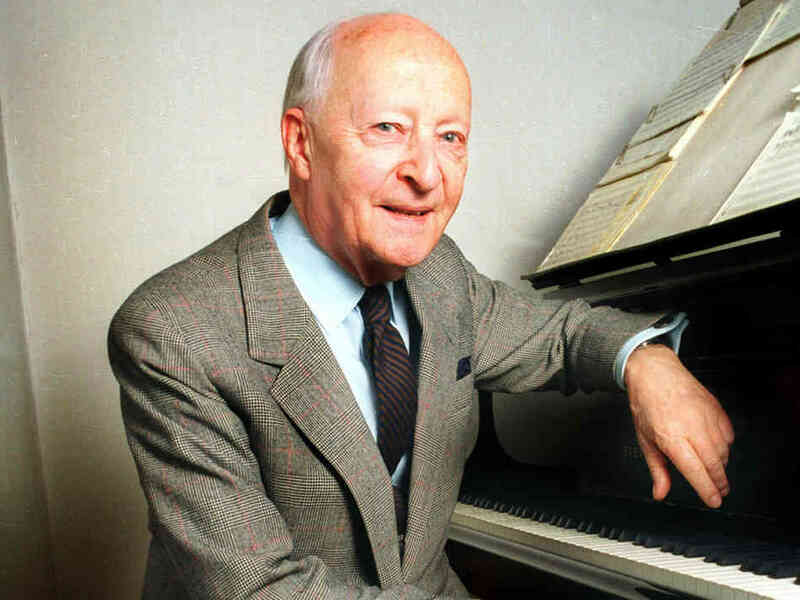 Lutosławski was present (I really can’t remember whether he was one of the pianists, but I rather imagine he was) at a performance of his Variations on a Theme of Paganini for two pianos. Again, I found myself so utterly engrossed in the music – which I found (and continue to find to this day) disturbingly exciting – as well as in a spellbinding performance that I, once again, leapt to my feet in a spontaneous display of gratitude. Every performance of the work I have sought out since has been a disappointment; the yardstick was set out then, and in my mind, has never been reached since. The third was last night when I found myself so totally absorbed by a riveting performance of Steve Reich’s Music for 18 Musicians that, as the final silence faded away, I found myself on my feet, exultant that I had experienced one of those rare musical occasions which you just know will never fade from the memory. It was not a flawless performance. The members of the London Sinfonietta are too seasoned a bunch of professionals ever to look panic-stricken, but one was conscious of occasional looks of consternation when various musicians, possibly mesmerized by the incessant repetition of small figures, suddenly realized they had no idea how many statements of the motiv were left. Such was the superlative teamwork of the band that, it only needed a glance from one player for another to subtly indicate what was happening and, to all outward appearances, the performance flowed seamlessly, its endless stream of hypnotic music uninterrupted by human intervention. The fact that Reich was there in person, one of the five pianists involved, certainly lent the concert a tangible sense of occasion, but the standing ovation was not so much for him as for the musical experience we had all just shared. A concert devoted to Reich and his music had begun with the man himself involved in a performance of his iconic Clapping Music and the true highlight of the first half was an electrifying performance of his 1987 work for electric guitar and pre-recorded tape Electric Counterpoint. 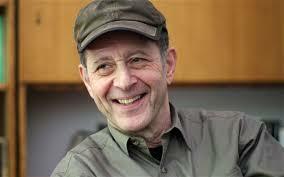 This was the work which first made me fall in love with the music of Reich – that famous 1989 Elektra disc which also included the fabulous Different Trains had been sent to me for review and I reckon I had played it pretty continuously for much of the next year – and to hear it again, live, was a wonderful experience. Mats Bergström was the soloist on this occasion, and while he occasionally looked a little awkward there on the big stage all alone playing, somewhat incestuously, with pre-recorded tracks of himself, the sound was astonishing; the advances in amplification and the superlative work done at the mixing desk in the hall giving this “live” performance a fabulous sense of realism. When I heard the work “live” back in the 1980s, one was painfully conscious of what was real and what was pre-recorded; here, even looking at the lone guitarist on stage, you just did not know quite where the sound was coming from, so well did the sound worlds coalesce. The big disappointment of the evening (for me) was Radio Rewrite of 2012. Musically it felt uninspired, rehearsing familiar ideas in a manner which seemed dangerously routine. The performance was impressive for its tight ensemble and clarity of detail, yet it never took off. Interval discussions with a variety of people harvested a variety of suggestions as to why this might have been so weak. For what it’s worth, my feeling is that the problem lay with the conductor, Andrew Gourlay. He did what had to be done – kept the ensemble very tightly together and kept the performance focused on its passage through the music – but I could not escape the feeling that by his very presence he was obstructing the performance rather than constructing it. The musicians seemed constrained by his presence; as if, left to their own devices, they could have played the music out with a little more freedom and personality. But I suspect the real issue is that this is simply not Reich’s greatest achievement. That greatest achievement is not Music for 18 Musicians but it ranks high on the list of near-masterpieces. It is an extraordinary work, lasting 60 minutes according to the publicity (but, in reality, this performance was nearer 55) and requiring intense concentration and stamina from all the players (and vocalists), many of whom are obliged to move between instruments, to play small musical motivs identically over dozens of repetitions, and at times seamlessly take over command of an instrument already in full flood. I wondered why this seemed so much more of a virtuoso tour-de-force than, say, a Bruckner or Mahler symphony, but I realized what the answer was. With Reich it never stops, its changes are imperceptible and it has none of the contours which allow the interpretative brain its peaks and troughs. The complete absence of silence, of repose or even of relaxation combine to create a gloriously hypnotic effect on the audience, but how human beings can possibly cope with its performing demands almost defies belief. Perhaps this is why this performance warranted a standing ovation. Few of us are likely to experience its equal again. And I have one final question. Messiaen, Lutosławski, now Reich. Who (if anyone) will be next?